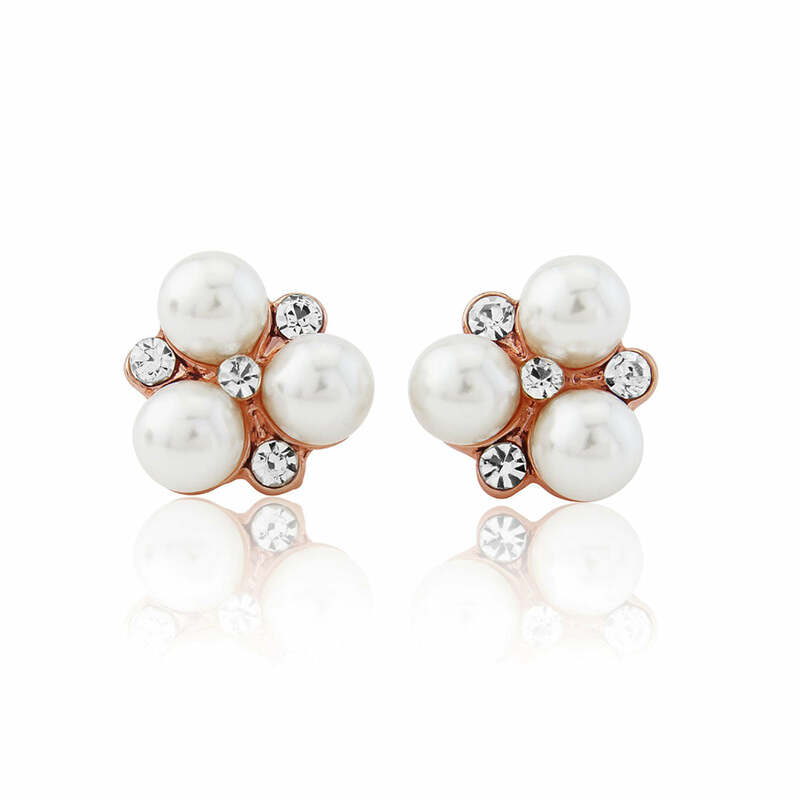 1950s elegance collides with the current rose gold trend to create these timeless stud earrings. Beautiful and romantic, Shimmer of Rose Gold Earrings feature a cluster of beautiful ivory faux pearls encased in blushing rose gold tone. With glittering clear Austrian crystal accents, these timeless studs exquisitely combine vintage charm with a hint of contemporary chic. 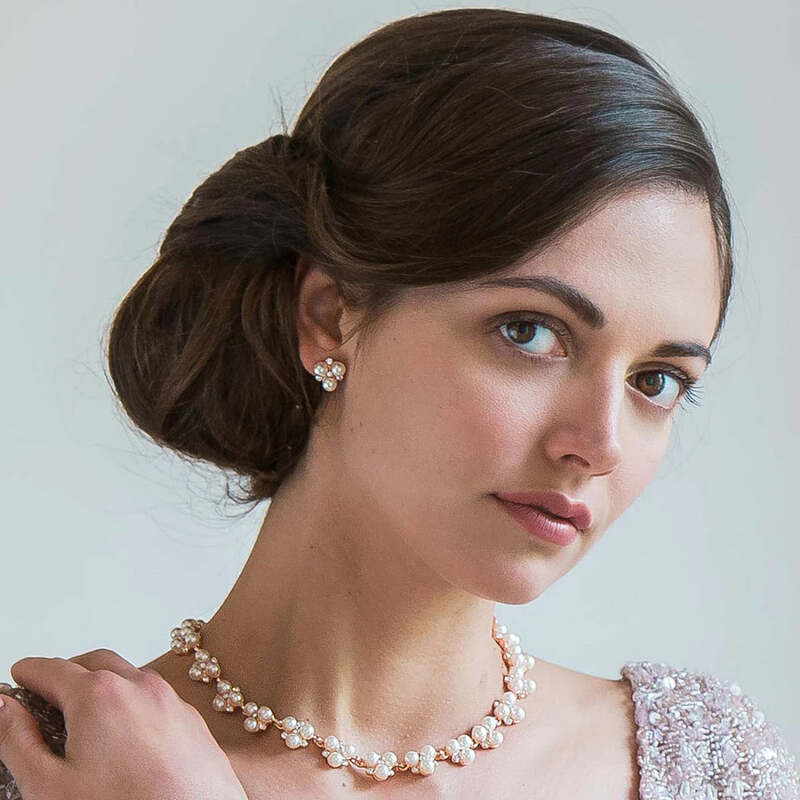 Elegant wedding earrings for brides and bridesmaids who adore a classic style and dainty jewellery, they look especially divine with a blush gown or to complement an antique pink colour scheme. From daytime chic to evening glamour, Shimmer of Rose Gold Earrings look effortlessly stylish worn alone or, for an added touch of Old Hollywood glitz, with our coordinating necklace and bracelet. The perfect pair to unleash your inner 1950s Starlet while paying homage to the oh so current rose gold trend.